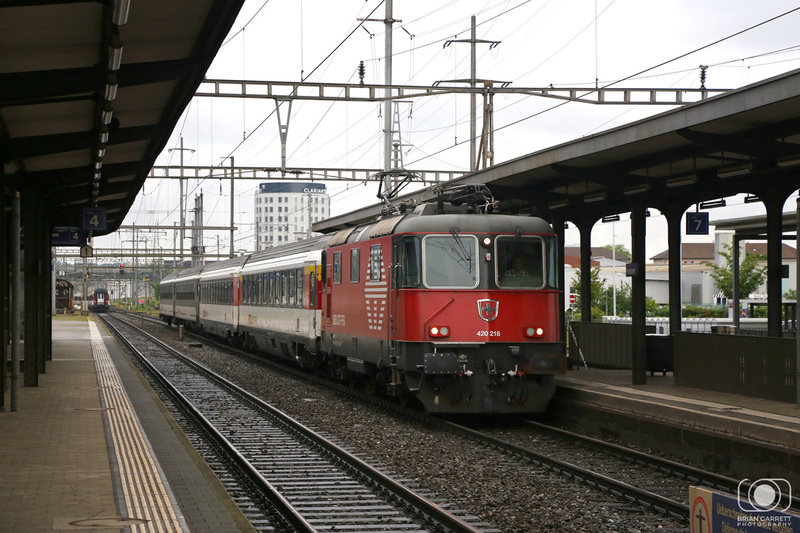 For our last morning in Basel before returning to the UK we took a short tram journey out into the suberbs of Basel and located a small station called Pratteln. 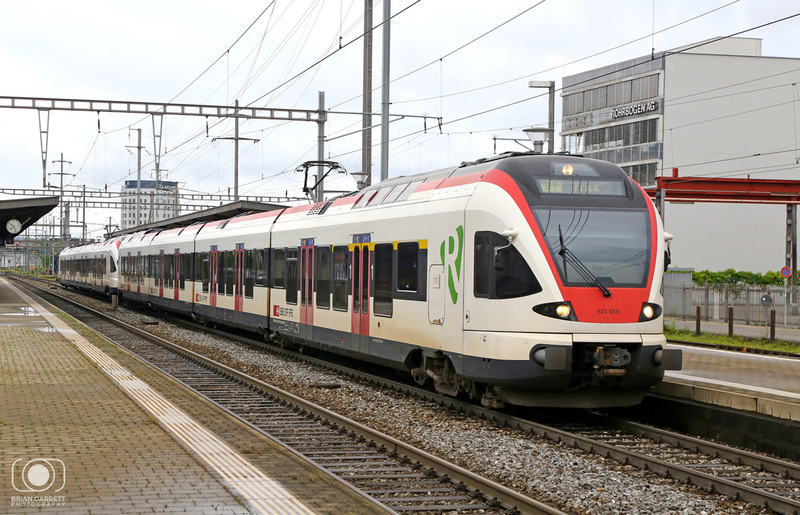 The station was located just to the south of Motzen Yard and handily positioned to the south of Basel SBB and Basel Bad. 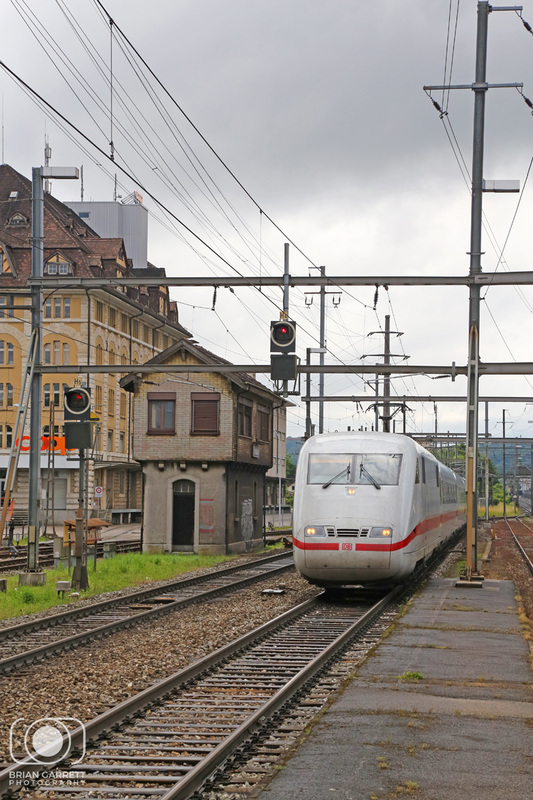 At Pratteln the mainlines split with a pair turning left for Zurich, and the other pair continuing south towards Luzern. 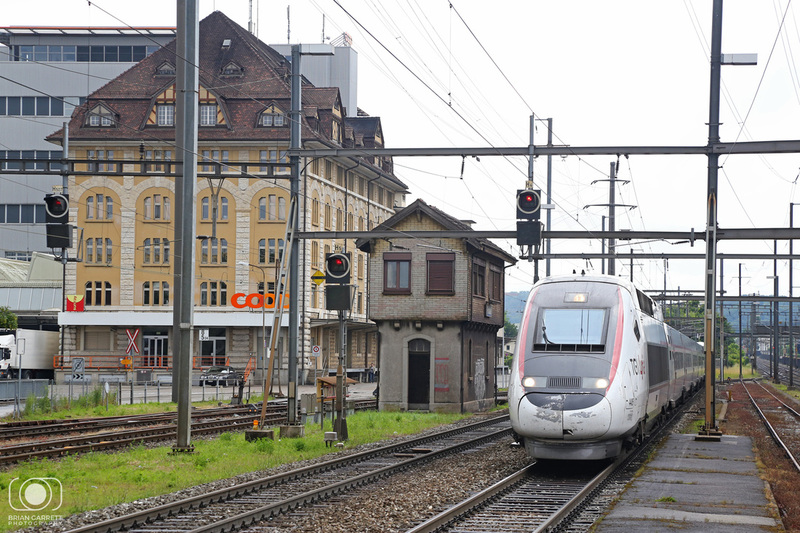 This unique location means pretty much everything heading south or east from Basel has to pass through this busy little station. In just 2 hours at this location we recorded over 40 different movements, and that was on a Sunday morning! We returning to Basel City Centre for mid morning before catching the No.50 Bus back to the Airport and flying back to the UK. Be sure to check out the other galleries such as Landscapes and Aviation for some of the additional photos captured along the way. 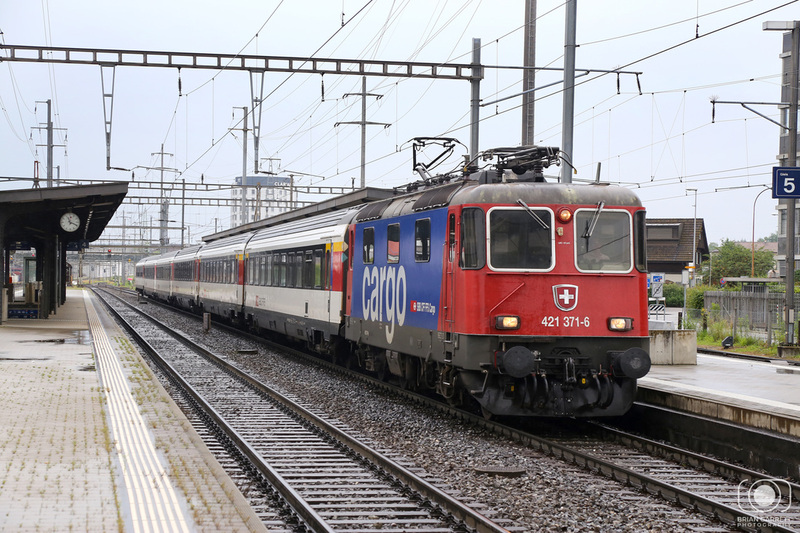 SBB Class 420 No.420 218 passes Pratteln with the 09:13 Basel to Zurich HB. 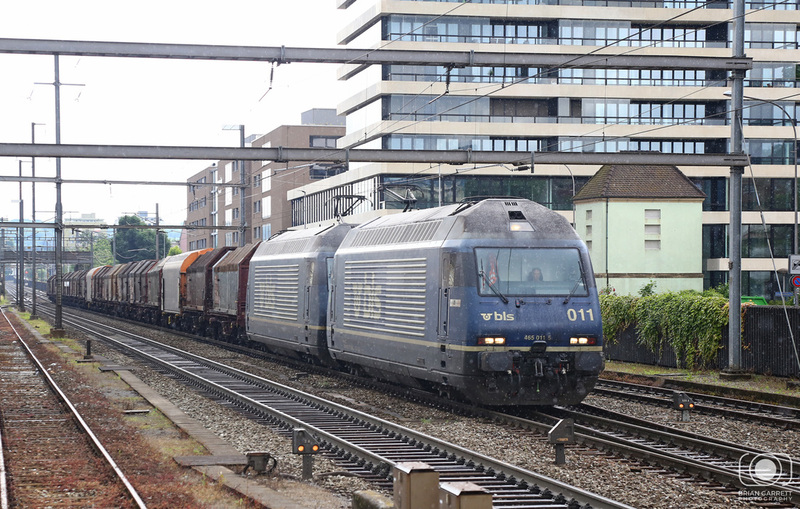 SBB Cargo liveried Class 421 No.421 371 passes through Pratteln with the 08:36 Zurich HB to Basel SBB service. 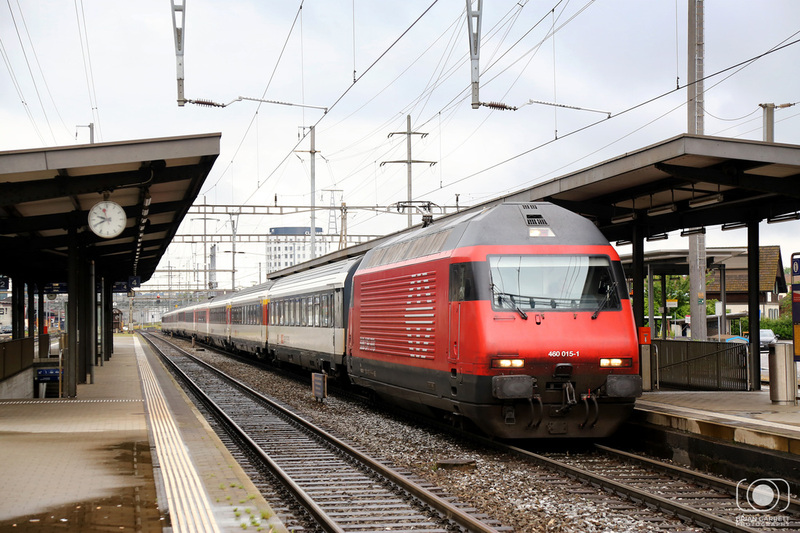 SBB Class 460 No.460 015 passes Pratteln with the 09:37 Basel SBB to Zurich Flughafen. 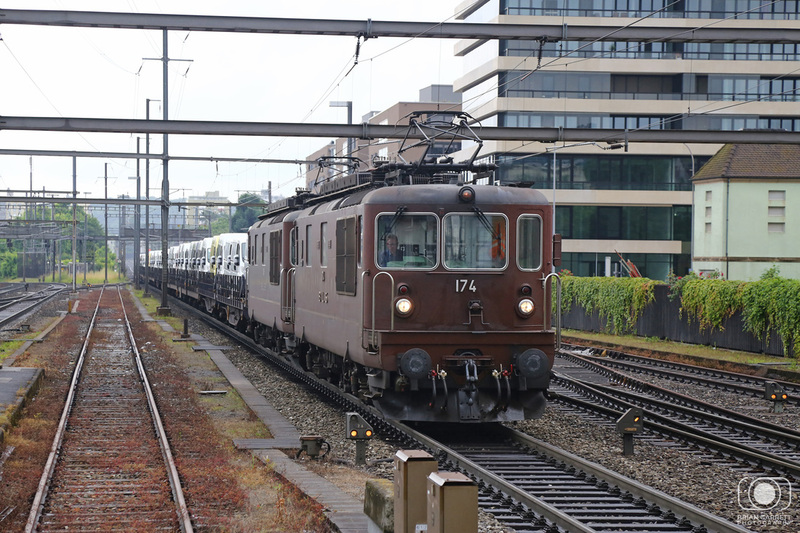 BLS Class 435's No.425 174 and No.425 183 pass through Pratteln with a rake of Citroen Vans heading for central Europe. 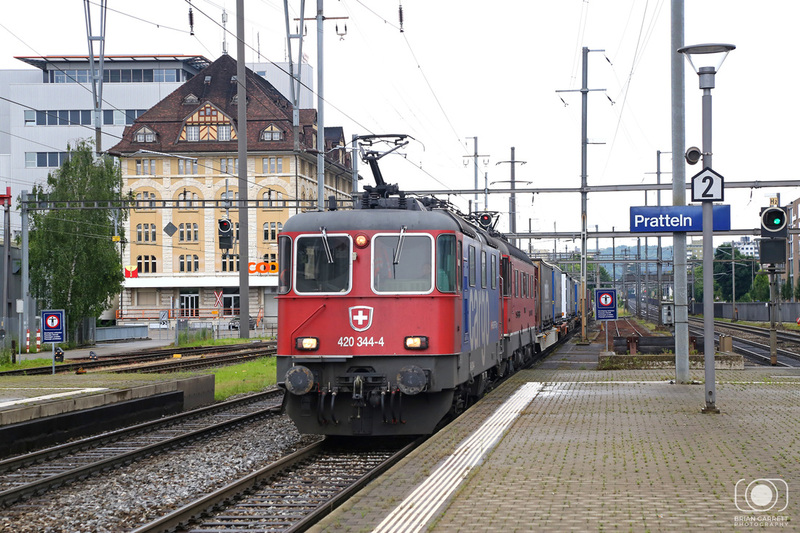 SBB Cargo liveried Class 420 No.420 344 and No.11664 pass through Pratteln with an Intermodal from the Zurich direction. 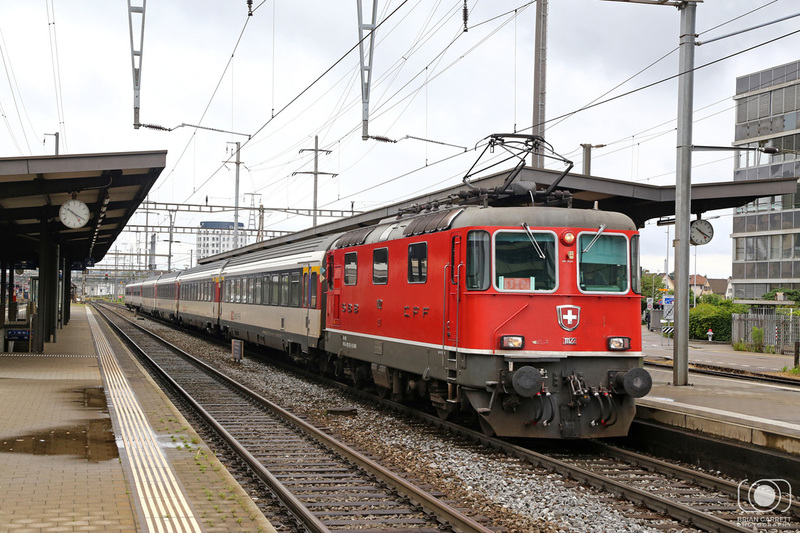 SBB Class 420 No.11122 passes Pratteln with the 10:13 Basel SBB to Zurich HB. 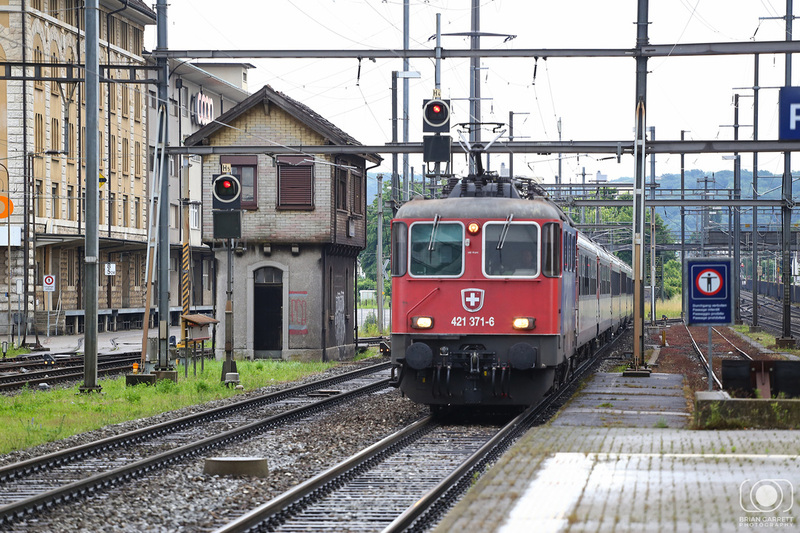 Swiss TGV No.4405 passes Pratteln on the 09:10 Bern to Paris. In the pouring rain BLS Class 465 No.465 011 and No.465 012 'Eurotunnel' pass through Pratteln Station heading for Basel Bad. 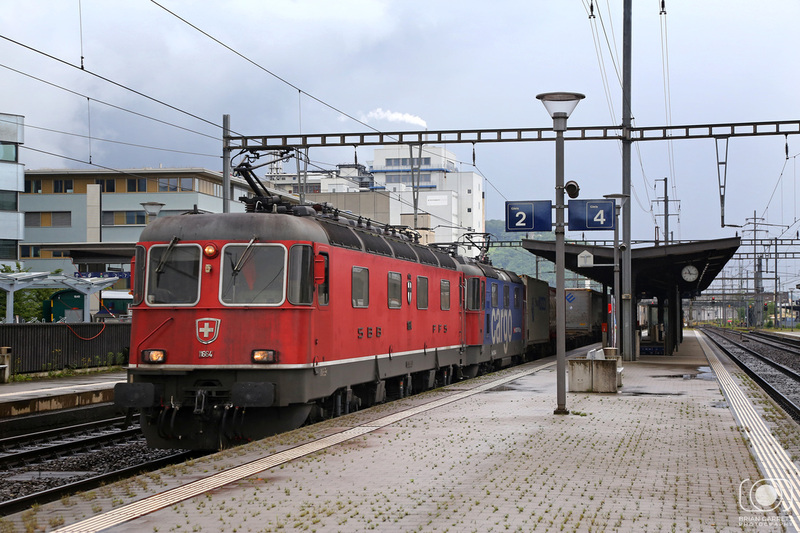 SBB Class 620 No.11664 pilots Class 420 No.420 344 through Pratteln on route south. 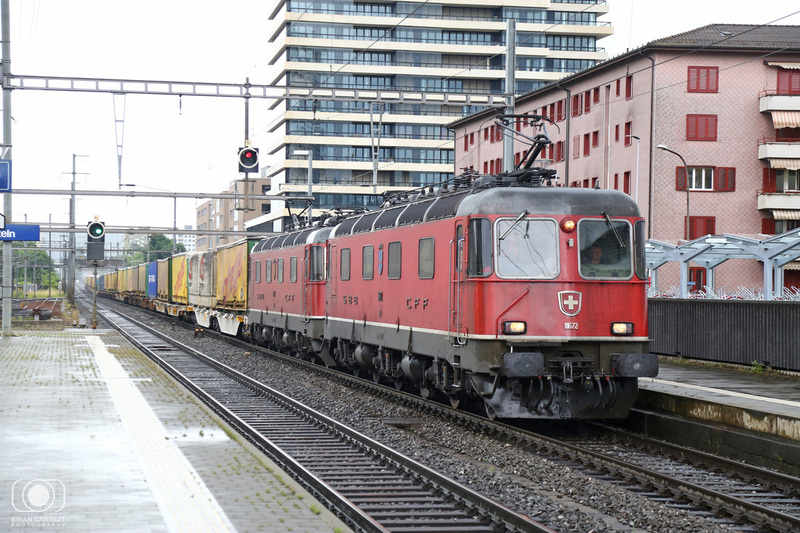 SBB Cargo Class 421 No.421 371 passes through Pratteln with the 11:13 Basel to Zurich HB service. 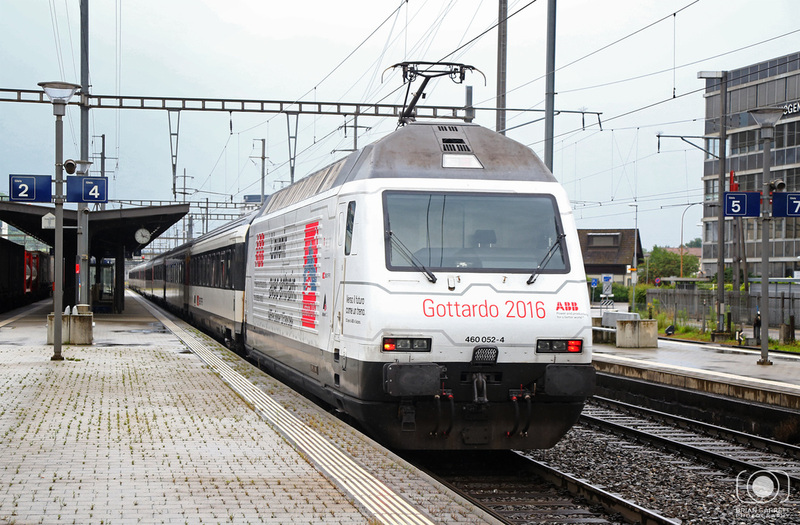 SBB Class 460 No.460 052 carrying Gottardo 2016 colours in conjunction with the opening of the Gottard Base Tunnel, passes through Pratteln with the 09:56 Zurich Flughafen to Basel SBB.